Air conditioning is a blessing in extremely hot and humid conditions of Indian summers. Choosing the right air conditioner for different kind of needs is a tough and tricky task. That’s why we have compiled this list of best air conditioners in India. We have listed best air conditioner for every kind of situation, whether it is for the regular area, a large area or a small area. We hope that you will be using your air conditioner for a good amount of time that’s why we have listed air conditioners with most power-saving unless it is our specific category for air conditioners for less usage. You will not be disappointed with the air conditioners selected from our years of experience and careful attention. This is the most premium air conditioner from reputed air conditioning solution provider Daikin. This is a 1.5 Ton inverter split Air Conditioner. This is a cooling only model.This is a 5-star model. This air conditioner is a super efficient one. Key Features of this air conditioner includes patented streamer discharge, indoor unit quiet operation, coanda airflow, power chill operation and intelligent eye. The streamer discharge feature reduces the unpleasant smell and viruses inside the room thus providing the clean air. Coanda airflow helps in cooling the room uniformly by sending the cool air into every corner of the room. Power chill feature allows the compressor and indoor fan unit to run at full speed for some time when you need to chill the room quickly for immediate comfort. Its intelligent eye feature with its infrared sensor detects human movement in the room and adjusting the room temperature accordingly for comfortable cooling. It comes with a very elegant looking Indoor unit. Its maximum cooling capacity is 20500 BTU which is very good even for 1.5-ton inverter air conditioner and is sufficient to chill the room up to 180 sq ft easily. Rated power consumption is only 1315 watt which makes it super efficient and helps in reducing the power bills. 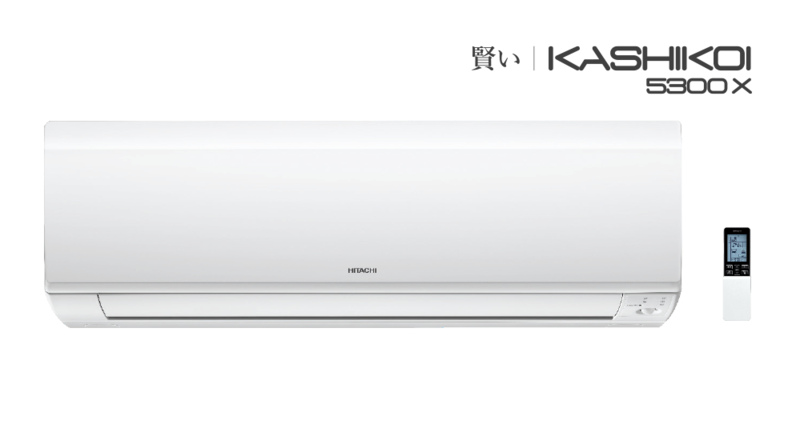 Its ISSER rank is 5.2 which again indicates how super efficient this air conditioner is. Indoor unit sound levels are pretty low as well. This air conditioner is designed to operate at the ambient temperature of up to 50 degree Celsius which is very good even considering the harsh Indian summers. This air conditioner uses environment-friendly R32 refrigerant. Being an inverter AC it maintains uniform cooling without any temperature fluctuations. This super powerful, super-efficient air conditioner comes with lots of useful features making it one of the best among all the available choices. 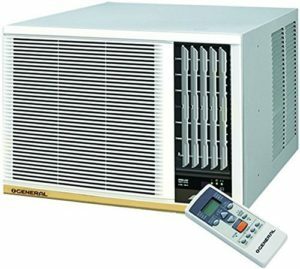 Hitachi kashikoi 5300X RSB518IBEA is a 1.5 Ton inverter type split air conditioner. Hitachi is one of the top air conditioning brands in India and this 5 star 1.5-ton inverter split air conditioner is top-notch not only for cooling and power saving but also in features. One important feature of this air conditioner is iclean technology which is an automatic filter cleaning technology. This exclusive feature allows you to clean your AC filter automatically without any need of removing and cleaning the filter manually. This is a very useful feature. As a result of this, you enjoy clean and fresh air year round without any hassle. This makes it pretty low maintenance. Other key features are isens technology which detects human movement during sleep and in case of no active movement, it increases set temperature by 1 degree Celsius per hour for 2 hours for a comfortable and deep sleep. All other standard features are included in this premium air conditioner. Its maximum cooling capacity is 19800 BTU. The standard for a 1.5-ton machine is 18000 BTU. But being an inverter air conditioner it can go up to 19800 BTU which is enough for around up to 170 sq ft. Rated power input is 1449 W (at 18000 BTU). 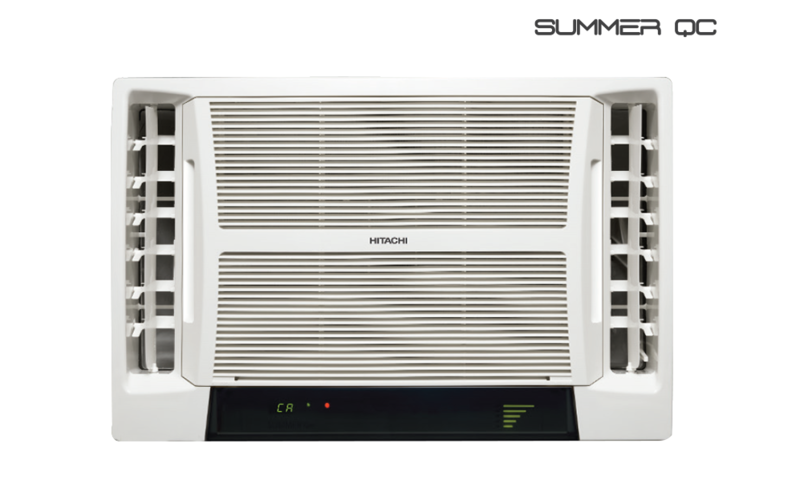 Its ISEER rating is 4.7 which puts it into the 5-star category of inverter air conditioners. Sound levels are pretty low at 31db. This air conditioner is designed to operate at the ambient temperature of up to 52 degree Celsius which is very good compared to the other brands. The combination of great cooling for a 1.5-ton machine at low power consumption along with some exclusive features makes this one of the best air conditioner available overall to cool medium-sized rooms. This is Inverter AC from LG comes with solid 10 years warranty on the compressor which makes it very special. This air conditioner comes with Hi-Tech dual inverter compressor Technology.This technology cools faster helps in saving energy and also make air conditioner most silent compared to a conventional inverter compressor air conditioner. This air conditioner is made up of hundred percent copper. Both outdoor and indoor unit are covered with Ocean black protection Which ensures air conditioner is protected against all conditions and pollutants.This air conditioner can also detect low refrigerant levels which is responsible for reduced cooling. It also comes with dual filtration which helps in giving you cleaner and bacteria free air.There is also Himalaya cool feature which helps in cooling the room faster than normal with the touch of a button. It also comes with the display on the indoor unit. The cooling capacity of this air conditioner is 6200 KW or 21155 BTU which is towards the lower side for a 2-ton air conditioner. This is a cooling only model. Power consumption is 2090 watts. Its ISEER value is 3.7 which makes it a 3-star product. Air conditioner is designed to operate up to 52 degree Celsius. Industry best warranty, a great inverter compressor and long feature list at a pocket-friendly price for a 2 ton AC makes it a very solid product. This 1 ton 3-star air conditioner from premium Japanese manufacturer is perfect for Air Conditioning needs of small spaces of up to 120 square feet.It is a fix speed model.It is a cooling only model.It comes with T-FLOW wave blade fan.There is also air filter clean indicator which reminds you when to clean the filter so that you get clean air and save electricity. It comes standard with backlit remote control For the comfortable nighttime Operation. There is an auto fan speed feature which ensures If the compressor is cut off fan runs at low speed and when the compressor starts fan runs at high speed.Hundred percent copper is used in making of condenser, evaporator and interconnecting pipes. The cooling capacity of this machine is 12000 BTU which standard for a 1-ton machine.Power consumption is 977 watts. 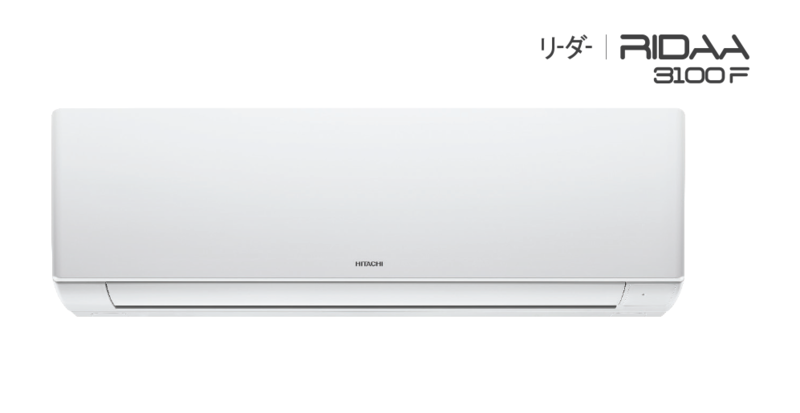 ISEER ranking is 3.6 which makes it 3-star machine according to current standards.The indoor unit sound level is 36 decibel.This Hitachi air conditioner is designed to operate at the ambient temperature of up to 52 degrees Celsius. There are three fan speed on this machine.Indoor unit air flow is 425 CFM. The legendary reliability of Hitachi compressor, Hundred percent copper construction, ability to operate in the high ambient temperature are the key strengths which makes it a solid all-round product for small spaces. If you are running your air conditioner only moderately or your air conditioner is installed in an area where you don’t need to run it for very long duration you don’t need to invest in an inverter air conditioner. In this scenario, this Daikin fixed speed model is perfect for you. This is only 2 star but lower initial purchase cost justifies it if you have moderate use only. the 1.5-ton model is enough for cooling of up to 150 square feet area.Main features include coanda air flow which helps in cooling the room uniformly, Econo mode which helps in efficient operation, Power chill operation which runs the fan and compressor at full speed For 20 minutes and helps in cooling the room faster and self diagnosis Feature in which machine auto detect the error and show the related code on remote screen.It also comes with good sleep off timer feature.In spite of its budget-friendly price, it uses R-32 refrigerant which is an environment friendly refrigerant. The cooling capacity of this 1.5-ton model is 5.2 KW or 17750 BTU which standard for a 1.5-ton model. Power consumption is 1507 watts.Its ISEER Rank is 3.54. It is designed to operate at the ambient temperature of Up to 50 degree Celsius. This machine comes from a very reliable manufacturer Daikin and in spite of its low cost it uses R-32 refrigerant makes it a value for money proposition and best buy if you have moderate use. This 1.5-ton window air conditioner is one of the best models from the top brand Hitachi. This model is top notch not only for cooling but also Excel when it comes to power saving.It has BEE Energy Efficiency rating of 5 stars. It can easily super cool any area of approximately 150 square feet. It has a very special and unique feature of twin air flow which means it has twin outlets for cool air which helps in cooling the room faster and more uniformly. Other key features include Kaimin function which increases the temperature by 1 degree Celsius per hour for up to 4 hours for a sound sleep and super silent feature which allows you to lower the sound level of the air conditioner with the touch of a button. It has auto climate Technology which recognizes the temperature and humidity in your city and adjusts that temperature and Fan speed of air conditioner accordingly for comfortable cooling. It also comes standard with the on-off timer. There is auto clean filter indicator which lets you know when to clean the filter automatically. Hundred percent copper is used for condenser, evaporator and pipes for better performance. Cooling capacity is 18300 BTU or 5350 watts which is standard for a 1.5-ton machine. Power consumption is 1530 watts. ISEER Rating is 3.5. Airflow is 500 CFM. Sound level is 45 decibel which is more than a split air conditioner but is ok for a window air conditioner.Ambient temperature operating range is up to 52 degrees Celsius which is good even for Indian summers. Solid build quality, twin airflow, heavy-duty performance and lots of other features make this machine top choice in window air conditioner segment. 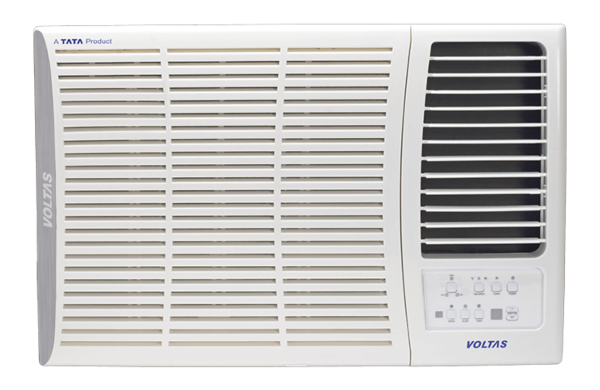 This air conditioner is from Voltas, number one selling air conditioner brand in India. This is a 1.5-ton machine. It can cool up to 160 square feet. It is a 5 star rated product. Key features include High ambient cooling, Fresh air ventilation, Active dehumidifier and Negative Ion filter and dust filter. High ambient cooling can cool up to 50 degrees Celsius ambient temperature. Fresh air ventilation provides special events which provide outside fresh air. Active dehumidifier feature automatically detects humidity in rainy seasons and controls it. Negative Ion filter generates Negative Ion and removes dust particle to give you fresh air. Hundred percent copper is used in cooling parts of the air conditioner. It comes with instant cooling and e-saver feature.It also comes standard with timer and sleep mode. It has a cooling capacity of 5100 Watts or 17400 BTU. For your information, 18000 BTU is standard for 1.5 ton. It has a power consumption of 1540 watts which makes it 5 star for a 1.5-ton machine. It’s ISEER Rating is 3.31. Noise level indoor is 54 decibel which cannot be compared to a split air conditioner but is good for a window air conditioner. Airflow volume is 700 CMH. It can operate up to 50 degree Celsius ambient temperature. It uses R22 refrigerant. If you want the reliability of India’s number one selling air conditioner brand, sensible cooling and huge power saving at a reasonable cost you can opt for this air conditioner. If you live in an extremely hot place this air conditioner can cool up to 55 degree Celsius which is highest for any air conditioner in the residential segment.This ultimate coding machine is a really heavy duty one. Don’t expect it to be a very power efficient machine but yes cooling is unmatched. Build quality and construction is top notch.This 1.5-ton machine can cover 160 to 170 square feet area easily depending upon the heat load condition of the room.Features include superwave Technology which means the wider louver Design for better air distribution.There is a metal cabinet even at the rear for protection Of heat exchanger from sun and sand. It comes with efficient state of the art Fujitsu Japan fan motor. The heat exchanger of this machine is made up of corrosion resistant material. Other key features include auto restart function.It uses environment-friendly R410A refrigerant. The cooling capacity of this machine is 18085 BTU which standard for a 1.5-ton machine. Power consumption is 1780 watts which is towards higher side for a 1.5-ton machine.Indoor noise level is 50 decibel which is expected from a window air conditioner. If you want to cool a place with really high ambient temperature, have a window to install this air conditioner and power saving is not your primary focus this heavy duty ultimate cooling machine is perfect for you. You need to consider following few key points before buying an air conditioner. What capacity air conditioner do I need ? One of the most important point to decide before buying an air conditioner is what capacity air conditioner should I buy. Air conditioner’s cooling capacity is usually measured in tons or BTU. 1 ton is equal to 12000 BTU or British thermal unit. What capacity AC you will be needing depends upon number of factors but for basic calculation, in Indian conditions, you will be needing 1 ton of air conditioning to cool a hundred square feet room. Similarly, if you have a 150 square feet room you will be needing a 1.5-ton machine. If you have a room on ground floor and there is construction above it you can reduce the AC capacity by 10%. If you have a room on top floor and it’s directly Sun facing you will be needing slightly more powerful AC. Also, you need to take into the account how many Sun facing windows are there in the room. Also, you need to add the AC capacity a little bit if you have so many heat producing appliances in the room. You also need to take into the account how many people or individuals are there in the room as they also have their heat load and If there are more than two-three people in the room you need to add the capacity a little bit. But for basic understanding 1.5-ton machine is enough for 130 to 180 square feet room, If you have a room smaller than 130 square feet 1-ton machine would be enough and if your room size is from 180 square feet to 230 square feet you will be needing a 2-ton machine. what type of air conditioners do I need ? Next important thing to consider while buying a new air conditioner is what type of air conditioner do I need. There are so many different types of air conditioners available in the market these days. You need to consider which type of air conditioner suits your requirements, taste and pocket . We can mainly divide the room air conditioner into the following types. Window air conditioners are most simple and cheapest kind of solution available. We have all the machinery built into a single unit and are supposed to be installed in your window. They are most simple to install and cheapest to buy. They are one of the most effective types of air conditioners to cool your room. They are especially beneficial if you frequently shift your room as the installation would be simplest and cheapest compared to other kind of air conditioners. The downside is your window will be engaged throughout the year. Also noise and vibration would be more in this kind of solution as the entire machinery including compressor is installed in your room window. Split air conditioners are the more refined solution for your air conditioning needs as compared to a window air conditioner. Split air conditioners has 2 units of machines, i.e. an indoor unit or blower unit which provides cooling inside the room and a compressor or outdoor unit is located at some place outside the room. Both are connected with copper pipes in which refrigerant flows. The noise and vibration are very less in this solution as the compressor which is mainly responsible for noise and vibration is located outside the room. You can install the indoor unit at a place convenient to you inside the room for better air circulation. They are also more elegant and pleasing to your room decor. Another positive is that you don’t need to engage your Window all the time like you do in case of a window air conditioner. They are also the obvious solution if you don’t have a window in your room. They are a bit costly to purchase initially and requires expert installation compared to their Windows counterparts but once installed gives better air conditioning experience as compared to the window air conditioners. They come with traditional or fixed speed compressors and inverter or variable speed compressors. Another type of air conditioners is portable air conditioners. Unlike window and split air conditioners, you don’t need to install them at a fixed place in the room. They are single unit machines like an air cooler and you can move them to any place you want. They have just one outlet for hot air which is connected from machine to outside place through a pipe, which goes from room to outside from a specially made hole. This kind of air conditioners are very flexible in their placement and simple to install. The downside is they don’t remove heat as effectively as other kind of air conditioners does. These are recommended only when other kind of air conditioning solution is not possible or you frequently need to move the air conditioner inside your house. How many stars appliance do I need ? One of the major consideration after the initial purchase cost in air conditioning is running cost or the cost of electricity required to run the air conditioner year after year. Power consumption is one of the major factors you need to take into the account before buying air conditioner as this cost can go really high. Star rating is provided by the BEE i.e. Bureau of Energy Efficiency, to the air conditioners, according to their power consumption, on a scale of 1 Star to 5 Star. The lesser the power an appliance consumes the higher would be the star rating similarly the appliance which consumes most power would be given least star rating. For example, air conditioner with least power consumption would be given 5 stars and air conditioner with the highest power consumption figure would be given one star. But that does not mean that you always look for buying a higher star rated product as the higher star rated product would be initially more expensive to buy than a lower star rated product considering both products are of the same capacity and same brand. If you are using your air conditioner for really long duration it would be wise to invest in a higher star rated product and save on electricity cost later on but on the other hand if you are running your air conditioner for only 2-3 hours a day, you would not be able to recover the higher cost paid up front to purchase a higher star rated product. The key is, you should calculate your running cost by taking the power consumption of air conditioner into the account, before buying an air conditioner.